ELIZABETH CITY, N.C - The Chevy Silverado is back in black thanks to the new 2015 Chevy Silverado Black Out package for work trucks! We have to say, Johnny Cash himself would be very proud of this truck package, which enhances the exterior look of the truck, but leaves out the high-end interior accents that aren’t necessary in a work truck. Available on both regular and double-cab 2015 Silverado 1500 WT models, this new Black Out package includes 20” black painted aluminum wheels, P275/55R20 all-season Blackwell tires, deep tinted glass and black bowtie badges front and rear. We especially love the black detail added to the bowties! 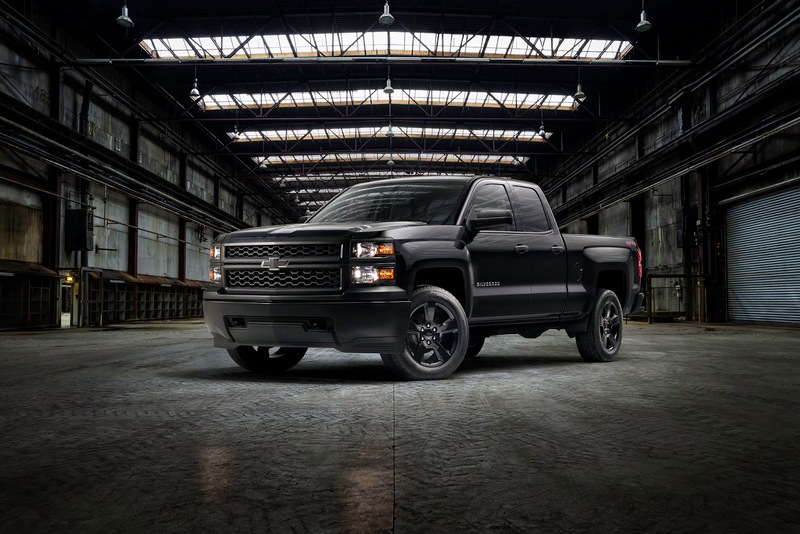 The new 2015 Chevy Silverado Black Out package for work trucks is a $1,595 option for regular cab and extended cab models and Chevy has announced that the prices for these new Black Out trucks, which are available NOW, will start at $28, 895. Chevrolet said it best, “Customers can have any color they want, as long as it is black.” If you want to see how great the Black Out package would look on your Silverado come in and stop by! Perry Auto Group has two dealership locations to serve you better at 1005 W. Ehringhaus St, Elizabeth City, NC, 27909 or 1001 Halstead Blvd Elizabeth City, NC 27909. Stop in for any of your auto or community needs, or feel free to give us a call at (252) 338-9100.